Haukeland has a long-lasting carrier as a social scientist/ tourism researcher. He has held positions as Chief Research Officer (tourism research) and Head of Department for Communication and Accessibility at the Institute of Transport Economics (TØI), and has been granted status as Researcher 1 (highest ranking) in TØI’s professional competence system. 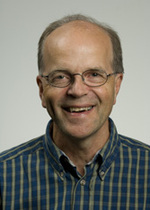 Haukeland holds a position as Professor at the Faculty of Environmental Sciences and Natural Resource Management (MINA), Norwegian University of Life Sciences (NMBU). His professional experience includes teaching and supervision in nature-based tourism on master level. The research activities comprise a wide range of issues within the field of tourism: Nature-based tourism, management of tourism in protected natural areas, tourism impacts on local communities, national holiday surveys, foreign visitor surveys, tourists’ expenditure surveys, welfare aspects of travel and tourism, alternative tourism, trend analyses of tourism developments, tourism marketing issues, tourism attraction studies, etc. Haukeland has also held long-term editorial responsibilities in scientific tourism journals.